I find the skincare industry fascinating, it’s constantly evolving and new brands and products come to market every day. There is a lot of confusion amongst consumers about what is good and bad when it comes to their ingredients. I’ve found that companies using complicated sounding ingredients tend not to be transparent about what they do. My current solution is to look for natural and organic products that I can use instead. 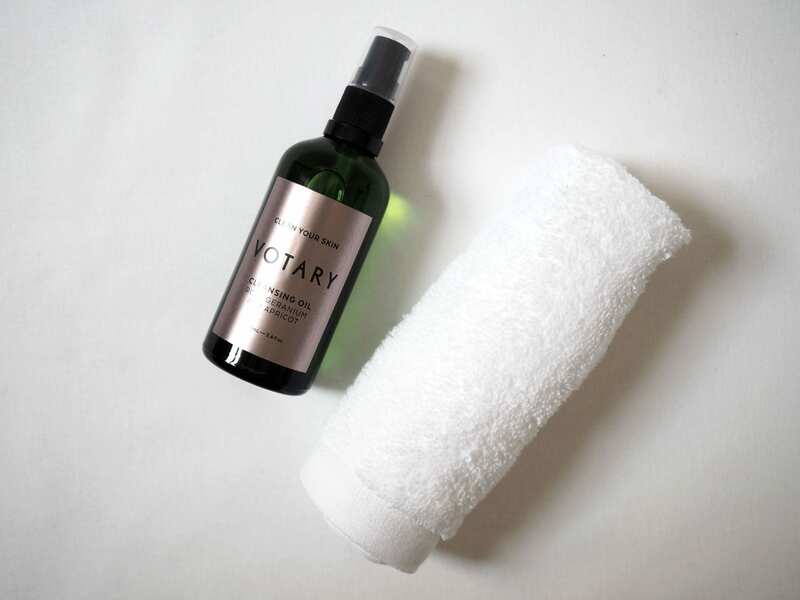 Votary is a new brand I discovered via Navas the brilliant blogger behind Disney Roller Girl. 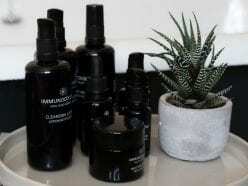 They make skincare products from 100% natural ingredients. My skin will often breakout after going from the cold into heavily central heated rooms, and then if I’m out in the cold too long, will dry up to the point it becomes tender. 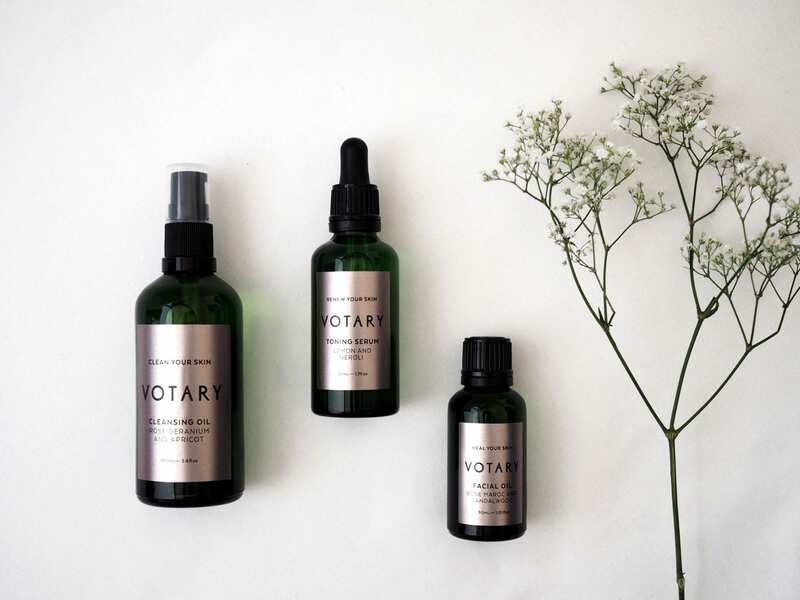 I asked Votary to recommend their autumn skincare essentials, a selection of products that would help my skin transition into winter. 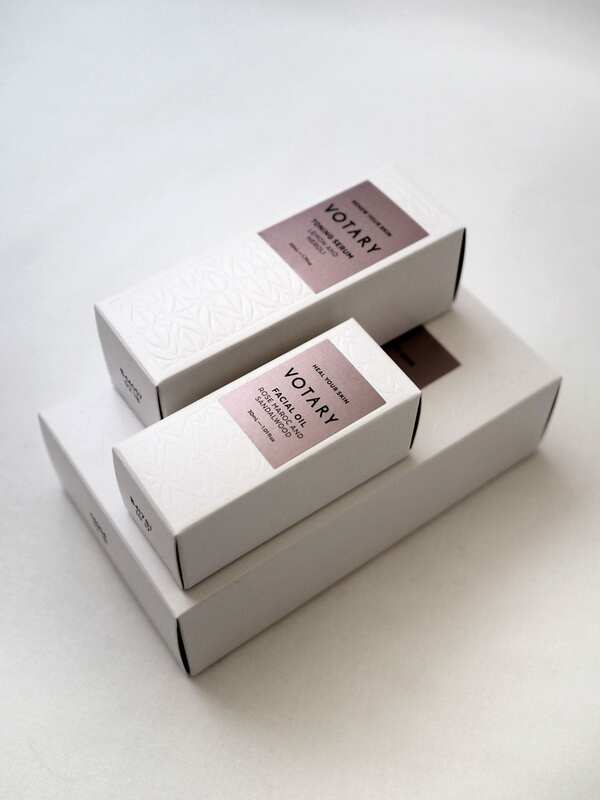 They came back to me with these three products Votary Cleansing Oil – Rose Geranium and Apricot, Votary Toning Serum – Lemon and Neroli, and Votary Facial Oil – Rose Maroc and Sandalwood. Lots of oil rich products which will be great for my naturally dehydrated skin. If you have oily skin don’t be afraid to use oil based products too, oil attracts oil which makes it great for cleansing the skin, they’re also great for healing the skin when you have breakouts. I followed the instructions to a T, for each product, there are clear written instructions and videos on the website, explaining how to use them. The Cleansing Oil left my skin feeling like velvet, super soft and not oily in the least. There wasn’t that tight feeling either when you know you’ve used something that’s stripped the skin of its moisture. 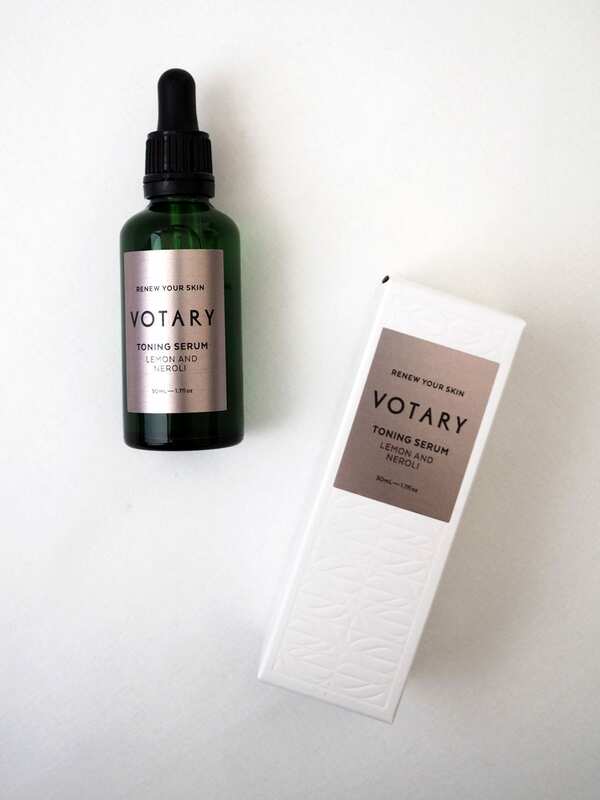 The Toning Serum gives a fast hit of moisture, my skin absorbed it in a second so I used a little bit more. 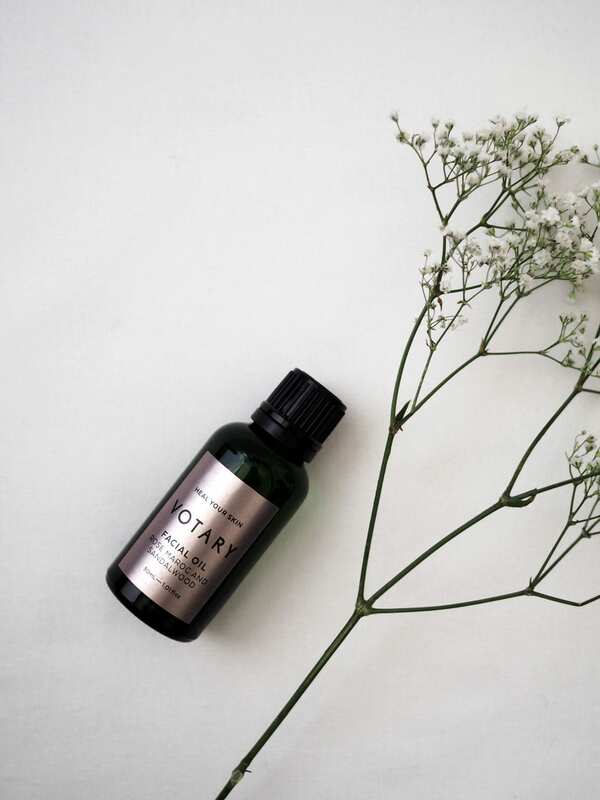 I then finished with the Facial Oil which felt a little bit greasy at first but after a few minutes it had settled into my skin and left it looking fairly matte, as if I’d used a primer. 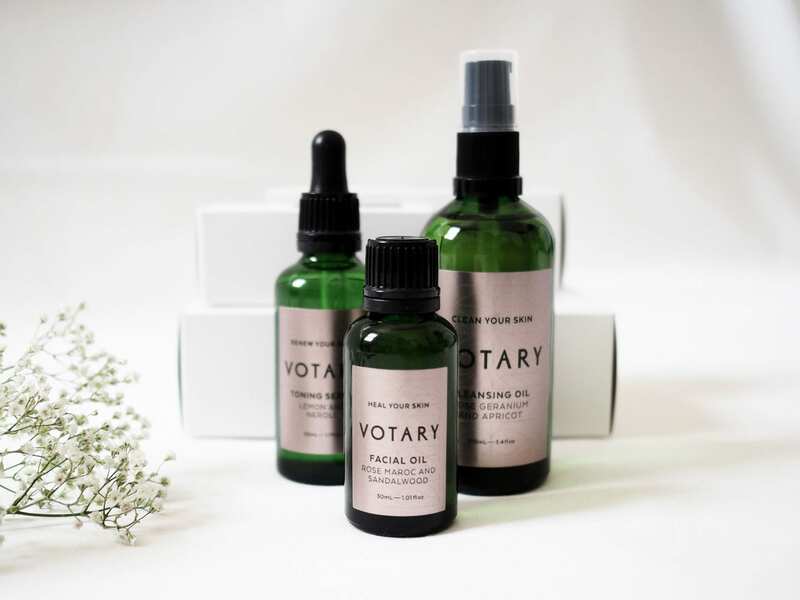 There are lots of videos on their website showing you the best techniques for using each of their products; as well as lots of great advice on their blog, The Votarist, including ‘How To: Solve Dehydrated Skin‘, which I found most useful. And, how beautiful is their packaging! 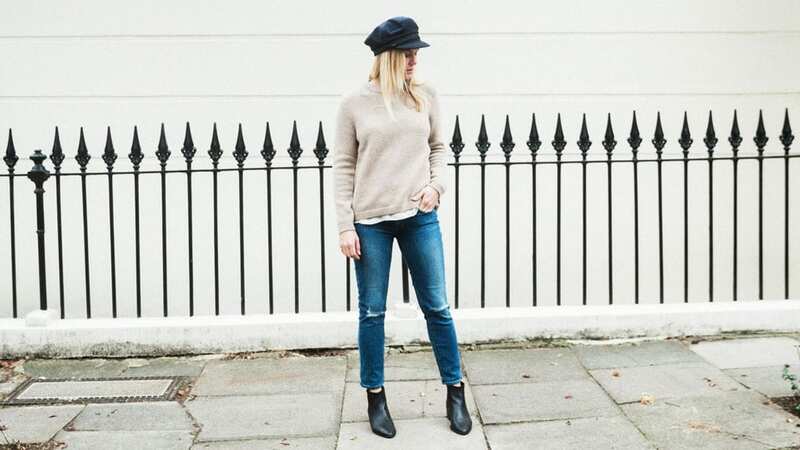 You can shop each of these products from their own website, they’re also stocked in Liberty London here in the UK and Anthropologie in the US.